The 6 Steps of Becoming a Surrogate Mother in N.C. | Parker Herring Law Group, PLLC 6 Steps of Becoming a Surrogate Mother in N.C. The 6 Steps of Becoming a Surrogate Mother in N.C. Becoming a surrogate is a life-changing, generous and selfless decision to make. While it’s not right for every woman, the women who do choose to help intended parents in this way enter into a journey that they will remember for the rest of their life. But, how do you become a surrogate mother in North Carolina? What are the steps involved in becoming a gestational surrogate? While every woman’s surrogacy journey will be different, there are a few common steps to becoming a surrogate in North Carolina or any other state. You can find out exactly how to become a gestational surrogate below. 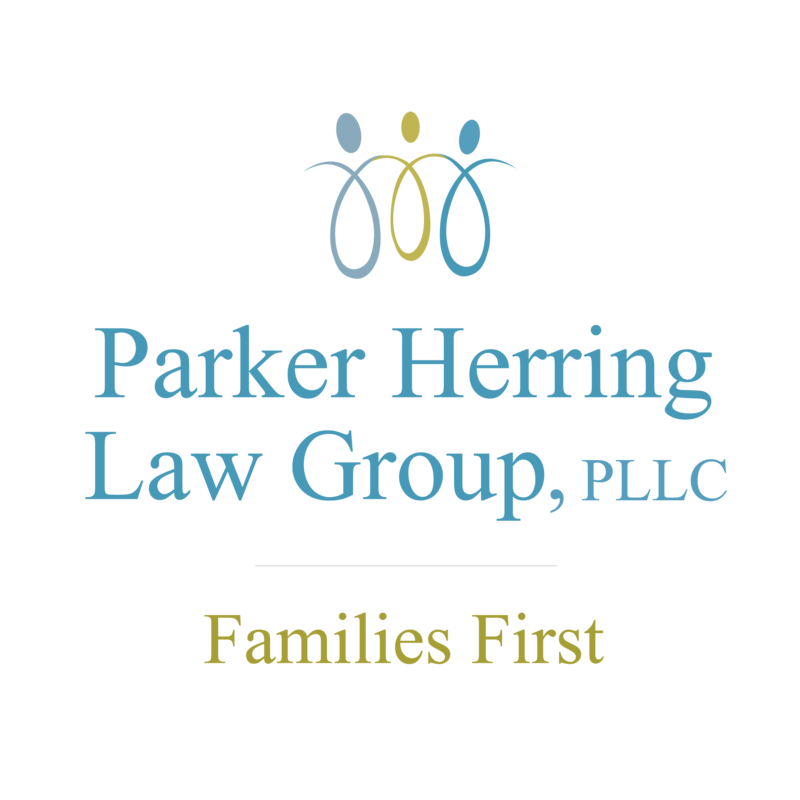 When you are ready for legal representation during your surrogacy journey, you can contact the Parker Herring Law Group PLLC. Our surrogacy attorneys have worked with many surrogates to ensure their rights and interests are protected during this process, and we can do the same for you, once you have found intended parents and been cleared for the surrogacy process. 1. Decide Surrogacy is Right for You. First, you will need to determine whether becoming a surrogate is the right journey for you to take. Becoming a surrogate mother is a rewarding but challenging process, requiring you to commit your time, energy and body for a year or more to help intended parents reach their parenthood dreams. Remember: When the process is over and the baby is born, you may or may not have contact with the intended parents in the future. Are you ready to commit a year or more of your time, energy and body? Have you already carried a successful pregnancy, and are you raising a child of your own at home? Are you healthy enough to carry a baby for someone else? Are you emotionally prepared for the potential challenges of being a gestational surrogate? Do you understand how the surrogacy laws in North Carolina may affect your surrogacy journey? Do you have your spouse and your family’s support? If you are unsure if becoming a surrogate mother is right for you, consider reaching out to a surrogacy agency or a surrogacy clinic to speak with a specialist. Many fertility clinics now welcome potential surrogates to meet with them, sign up and be available for their patients to consider as surrogates. 2. Create a Surrogacy Plan. Once you decide that you want to become a surrogate mother, you will need to determine what your personal surrogacy goals and preferences are. To do, this there are a couple of decisions you’ll need to make. Whether to become a gestational or traditional surrogate: It’s much more common for a woman to become a gestational carrier than a traditional one. In this process, you will not be related to the child that you carry, and your eggs will not be used to create the parents’ embryos. For all practical purposes, traditional surrogacy has become a thing of the past. Whether to work with a surrogacy agency or independently: If you are a first-time surrogate who needs to find intended parents, you may consider working with a surrogacy agency, who will handle every process of your surrogacy journey. However, if you have already identified intended parents and can handle your surrogacy on your own, you may choose an independent surrogacy, instead. In these cases, your intended parents will work with a clinic, and the clinic will ask that you have a physical examination and some laboratory work completed, as well as that you meet with a psychologist. Whether to be an altruistic or compensated surrogate: You will have the right to receive base compensation as a surrogate. You may also wish to carry for intended parents altruistically, having your expenses covered but not receiving additional compensation. What kind of intended parents you wish to carry for: Intended parents come from all kinds of backgrounds. You should determine whether you wish to carry for married or single intended parents, heterosexual or LGBT intended parents, and local, national or international intended parents. Answering these questions will help you create a personal surrogacy plan for becoming a surrogate mother. If you are unsure how to be a surrogate and properly address your personal preferences, consider working with a surrogacy specialist at an agency or fertility clinic. These professionals will help you create a surrogacy plan that works for you. If you have already found intended parents on your own, you will be able to move forward to the surrogacy legal contract phase. However, if you have not yet identified intended parents to work with, you will need to do so on your own or work with a matching agency (like a surrogacy agency or a fertility clinic). As mentioned, you will get to choose the kinds of intended parents you are interested in carrying a baby for. This matching process is a mutual one, which means intended parents also have the chance to choose a surrogate. If you work with a matching entity, you both will view each other’s profiles and, if you are interested, you can meet in person or over the phone to confirm that a match is best for all involved. 4. Create a Legal Surrogacy Contract. You will legalize a match with intended parents by completing a legal surrogacy contract. This contract will ensure that both parties are aware of the responsibilities and expectations during their surrogacy journey and will address all applicable North Carolina surrogacy laws. You and the intended parents will need to have separate attorneys for this legal step of being a surrogate mother. The attorneys at the Parker Herring Law Group PLLC can represent you during this stage and refer your intended parents to another trusted surrogacy attorney (or vice versa). Your legal costs will always be free to you, because the intended parents will cover all of your surrogacy expenses. To start this legal process today, please call Parker Herring at 919-821-1860 or email her at pherring@weputfamiliesfirst.com. 5. Complete the Surrogacy Medical Process. After your surrogacy contract is complete, you can begin the medical process of becoming a surrogate mother in North Carolina. Many fertility and surrogacy clinics will not allow a surrogate pregnancy to proceed without a legalized surrogacy contract between intended parents and their surrogate. During your surrogacy medical process, you will undergo additional medical testing to prepare for the embryo transfer process. Many clinics also require psychological testing. Once you are approved by a medical professional, you will start taking fertility medications. The embryo transfer process itself is a fairly simple and painless procedure, but you will be required to travel to the intended parents’ fertility clinic for this step. You may be required to spend a night at the fertility clinic to ensure the best chance of implantation. You will return to the fertility clinic to test for pregnancy a few weeks later. Once your pregnancy is confirmed, you will receive prenatal care from your local OBGYN. 6. Give Birth and Complete Your Surrogacy. During your pregnancy, you will most likely develop a close relationship with the intended parents, and they will be present at the hospital when you deliver their baby. At this point, your surrogacy attorneys will have already submitted a pre-birth order, so the intended parents’ names will be placed on the birth certificate. You may have to sign a form at the hospital after the baby is born, but your surrogacy attorney will have explained this process to you as part of your delivery plan. At the Parker Herring Law Group PLLC, we prefer to begin the pre-birth order process around 20 weeks. After you give birth, your process of being a surrogate mother will be complete. You may find that your relationship with your intended parents continues after your delivery but, no matter what, you will have a feeling of satisfaction in knowing that you have changed your intended parents’ lives forever. If you are interested in the steps to becoming a surrogate mother, we encourage you to contact a surrogacy agency or a fertility clinic to learn more and start the process of screening and finding intended parents. If you have already found intended parents and are interested in becoming a surrogate without an agency in North Carolina, you can contact the Parker Herring Law Group PLLC to start your legal process today.